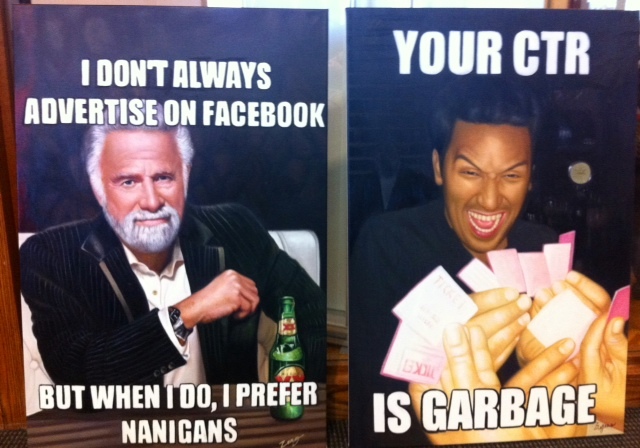 The Nanigans team has a confession: We have a serious meme obsession. Our big campaign dashboard screen provides our Ad Ops team a quick way to monitor all the campaigns being managed on our Ad Engine — and it doubles quite nicely as a place to project a new, funny meme each day. 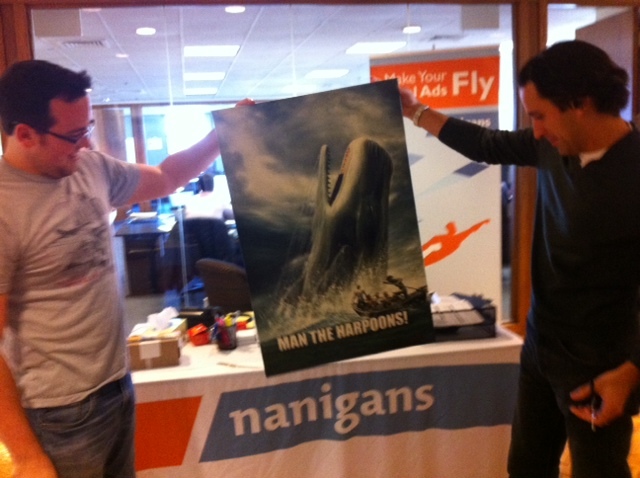 QuickMeme makes it easy for anyone at Nanigans to submit a meme there (like this one of Patrick Star teaching Ad Ops). 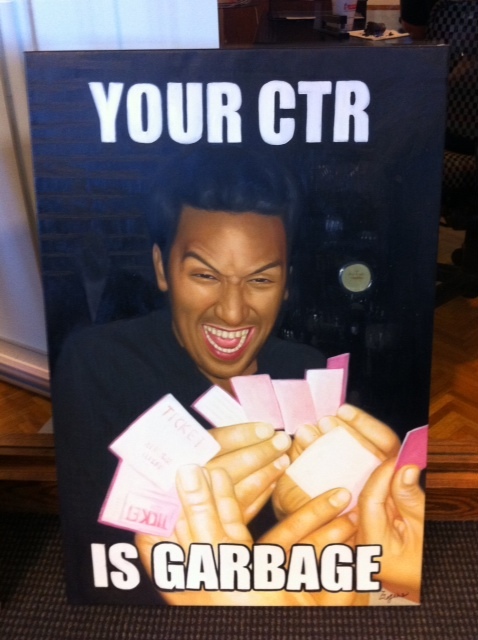 If AnyArt can paint memes on canvas at this high of quality, just imagine what they can do with your photographs! Thanks to the AnyArt team for the quick turnaround and fantastic results — we can’t wait to pick the perfect place to hang these on our office walls.